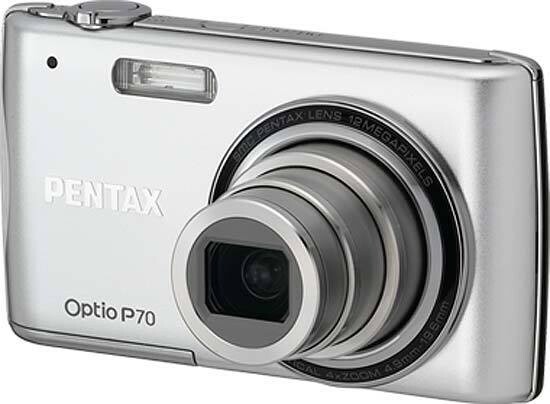 The Pentax Optio P70 is a promising but ultimately flawed point-and-shoot camera. It has one big problem, namely the agonisingly slow image processing and general operational speed. You will quickly become tired of seeing either a blank LCD screen or the flashing message "Data being processed", and even more tired of missing out on photo opportunities as the camera takes an eternity to process each individual shot. The problem gets even worse if you turn on the Pixel Track SR anti-shake option, with each image then taking an incredible 10 seconds or more to process. We haven't seen such tardy performance for many years, and it's enough to put us off the P70 entirely. Which is a real shame, as the P70 is also a well-designed, well-made and well-featured little camera with a versatile lens and acceptable image quality. The wide-angle zoom is a real bonus in such a small and thin camera, and the wealth of beginner-friendly options make it a great choice for use by all the family. The HD movie mode is somewhat curtailed by the strange choice of the slow and jerky 15fps frame rate, but even that's forgivable on a camera that costs less than £200 / $200.